The writings contained within The Audacity of Opinion: Reflections, Journeys, Musings are a vivid reflection of myriad issues that India, as a nation, faces today. The essays are thought-provoking, prescient, and written by one who has an enviable insight into the workings of India's political, defence and economic system. During his long and celebrated career, Jaswant Singh has witnessed India's growth from within, being a part of its chequered political history. The essays touch upon complex issues including the Assam Accord, terrorism in Punjab, India as a secular, socialist republic, the challenges of diplomacy, and the nuclear conundrum. In the section 'Voices of the District', Singh touchingly writes about the acute problems due to scarcity of water, and fodder for cattle; he writes about the peoples' tenacity to fight every adverse situation. The essays are a brilliant expose on the 'state of India', and written in Jaswant Singh's inimitable style laced with wry humour, they are a telling account of the India of today. JASWANT SINGH, is one of India's most distinguished and acclaimed politicians, having served eight terms in the Parliament. He was an officer in the Indian Army in the 1960s and an alumnus of the National Defence Academy, Khadakwasta. He has held charge of six ministries including External Affairs, Defence and Finance. 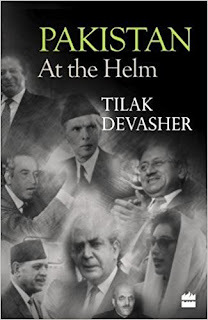 Responsible for foreign policy, he dealt with high tensions between India and Pakistan. He was instrumental in the Lahore-Delhi bus initiative in 1999; contributed to the unfreezing of relations and bilateral dialogues with China; helped steer the fifty-day Indo-Pak KargilWar to a conclusion; and effectively and efficiently handled relations with the United States post India's nuclear tests in Pokharan in 1998. 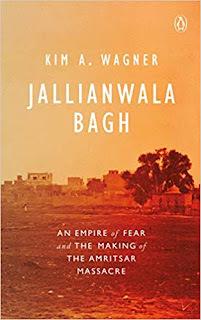 Jaswant Singh is a prolific writer, having authored twelve books, including the widely acclaimed Jinnah: India-Partition Independence, and has contributed widely to Indian and foreign magazines, journals on international security, defence and development issues. Singh is a visiting professor at Oxford University, an honorary professor at Warwick University, and a senior fellow at Harvard University. Jaswant Singh is a lover of horses, being a skilled horseman himself, and has been a keen polo player.